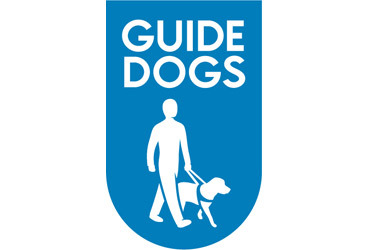 Guide Dogs for the Blind Association is a charity which trains dogs to be the eyes of the blind and partially sighted. Every hour someone goes blind and this often leads to complete isolation and the person never going out alone. Guide Dogs aims to train as many dogs as possible to give these people back their independence. A dog usually works until it is around 9 years old and costs GDs about £50,000. Once someone is given a dog it will always be replaced and that means someone who has had a dog from an early age, on average will have 8 dogs equalling £400,00. Puppy Walking involves taking a seven week old pup into your home for about a year to prepare it for its future role. Support and training are given by regular monthly visits from a member of staff who will answer your questions, however trivial they may seem, and help you solve problems, It is a time consuming occupation but so enjoyable as we take the pups everywhere we go and everyone is so friendly. We joke that we don't go for an hour’s shop when we go to the supermarket but a day out! There are classes where you do meet other Puppy Walkers; you don't have to attend but we've made a whole new circle of friends of all ages by going. Food and Vets' bills are paid and if you go abroad or really can't take a pup with you another puppy walker will be asked to board it so no kennelling worries. Fund raisers are needed to do shop collections, man stalls at fetes, put a collecting box in a local shop/club/ office etc, arrange a quiz night at a local pup, arrange a coffee morning, or anything to raise money on our behalf. We also give talks in schools, and to adult and youth group.